Online video distribution is perfect for producers who want a simple and fast way to sell or rent their video. The list below includes distributors that offer DIY distribution without a curation or selection process. This list does not include distributors who require approval such as Netflix, Vodo, Indieflix, Indiepix and others. The distributors below are generally easy hosts to place your film, but those with a curation process like Netflex may have more clout. Some of the sites allow other distributors to distribute product. Even if you are not looking for digital distribution of your video now, it is wise to study this list of distributors long before you need them. Get to know their requirements and options. Some of these sites have excellent articles that may help. In fact I found some surprisingly helpful articles about digital distribution. Look under Resources, Articles, Best Practices, or Blog. For many of these distributors, they only make money when you make money so it’s in their interest to help you succeed. Some have embedded players you can drop into your own website. Before signing with any distributor, look up some of the producers who have films listed with that distributor. You’ll have to dig to find them, but it won’t be that difficult. Ask if they are happy with the distributor. A little bit of due diligence can save you grief and help you choose. If you have direct experience with any of these companies, I urge you to leave a comment below this article. It may help other producers. YouTube Income will vary depending on Google ads The YouTube Partner Program allows creators to monetize content on YouTube through a variety of ways including advertisements, paid subscriptions, and merchandise. Distribber 50%-70% after setup fee ($0-$1595 per aggregator) Distribber was created to help rights holders maximize the payback from their work and investment. Enter some information about your film, click through the agreement and payment, deliver your master — we’ll do the rest! Distrify 70%-90% depending on pricing plan. Free = 70% + 10% from sharing, others up to 90% Distrify turns film sharing into sales and your fans into a community. Distrify is a toolset that turns the entire internet into a viral distribution platform. IndieReign 70% minus 3% PayPal charges IndieReign is an independent film marketplace where filmmakers connect directly with their audience, and film fans discover a world of rewarding cinematic experiences. Pivotshare 70% We help you sell premium video directly to your audience. Our digital distribution tools help you leverage an existing audience or grow a new one. It’s easy and it works across a ton of devices. Reelhouse 90% minus $.50 per sale Reelhouse is an online video platform where creators can distribute their content directly to viewers, with the freedom to share, sell, or raise support through their videos. VHX 90% mimus $.50 per sale VHX is a developing platform that believes artists should make more money from their work. Distribute your film online, directly to your audience. They are still in the process of launching, so contact them for more information. Vimeo On Demand You keep 90% of revenue after fees and we cover delivery costs. Vimeo On Demand, a totally open platform that enables you to sell your work directly to your audience. If you’re a Vimeo PRO member, you can distribute your work the way you want, with all the power of Vimeo’s HD player, easy-to-use tools, and wildly passionate audience. You keep 90% of revenue after transaction fees, and we cover all delivery costs. Your work is available online, as well as on mobile devices, tablets, and connected TVs, all in gorgeous HD quality. You can completely personalize your Vimeo On Demand page to match your work and bring it to life. Sell films, episodes, and more at the price you want, anywhere in the world you want — including on your own website. Watchbox 50% of the rental price The Watchbox was created because great talent is everywhere, but often goes undiscovered. Watchbox knows firsthand the frustration of putting your heart and soul into a project and seeing it fail to reach its audience. The team created The Watchbox to provide a community for talented filmmakers to showcase their works and an opportunity to recoup the blood, sweat, and tears they invested in their project. At The Watchbox, they let the films speak for themselves. 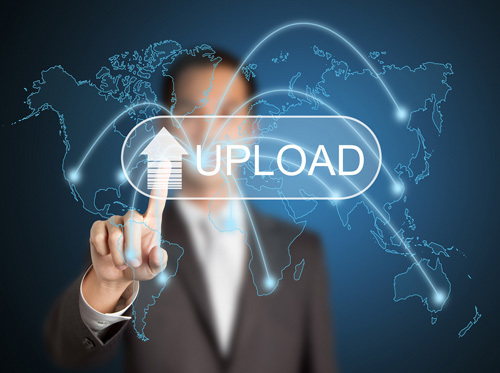 No need to get connections in Hollywood, all you need to do is upload your content and set your rental price. There are no politics, favorites, or gimmicks. FetchApp 100%, you pay $5-$500/month based on storage FetchApp allows you to sell and digitally deliver downloadable goods We seamlessly integrate with popular payment systems like Shopify, WordPress, Bigcommerce, Goodsie, PayPal and many others. We help automate delivery for customers with no need to install or download anything. And of course, we promise to keep your files securely hosted. FLM.TV 100% FLM.TV is a Video OnDemand company for Independent Films, dedicated to the delivery, distribution, marketing and social experience of ad supported independent films and trailers OnDemand. Gumroad 95% minus 25¢ per sale Without the hassle and cost of selling within a marketplace, Gumroad enables you to sell directly to your audience — just like you talk to them. It’s quick to integrate Gumroad onto your website, sell on Twitter, Facebook, YouTube, SoundCloud, and through your own email newsletter. And it’s even faster to buy. IntelVideo 70%-90% minus fees of $5 – $100/month The process of selling videos with InteliVideo is very simple. You just signup for an account, upload the videos you’d like to sell. Set a price tag on them; and start selling. KinoNation 80% Kinonation is based in Santa Monica, CA. We’re committed to give any content owner easy access to worldwide VOD in any format, language and territory. Mobcaster 95% Mobcaster is the first crowd-funded online TV channel; a new platform focused completely on finding, funding and broadcasting independent television online. NoBudge 100%, submission fee $25-75 NoBudge is an online screening venue for new indie films. It was started in February 2011 by filmmaker Kentucker Audley to premiere and compile indie films online. There is a submission fee of $25-75, but NoBudge takes 0% of profits. OpenIndie 100%, submission fee $25-75 OpenIndie is a theatrical distribution platform for independent film. Filmmakers add their films. Fans discover new films and request local screenings. Next we hope to turn audience demand into screenings by digitally delivering films to venues. Seed&Spark 80% On our platform, we give viewers the opportunity to follow a film from its earliest stages of development. Our Studio is full of incubating films viewers can help hatch by ontributing funds, loaning or gifting production items, or simply signing up to follow a project as it progresses. Viewers earn rewards points that they can spend to watch finished films of exceptional quality, because Seed&Spark is about more than simply making movies. We exist not just to facilitate funding, but to make sure audiences can see those films when they’re done. Watch incredible, truly independent films in our Cinema–knowing the creators keep 80% of that streaming revenue. Simple Machine 100% Browsing our films is, and always will be, free. Listing a film is, and always will be, free. This is a site for programmers finding films for a festival, theater, pop-up event, or county fair. See what films are currently playing other festivals, read quotes, watch trailers, and get screeners. Slated 100% Slated helps you find the people you need to get your film packaged, financed, represented and distributed. The Slated community includes high net worth individuals and institutional investors in film, as well as sales agents and distributors looking for emerging film projects. There are no fees directly on the site–it just provides a platform to connect industry professionals, investors, and filmmakers. All of the monetary transactions occur offline. Topspin You pay $9.99/mo / $49.99/mo / $99.99/mo and keep all proceeds Topspin Media is a direct-to-fan sales and marketing platform chosen by creative professionals who want to promote and sell films, albums, merch, tickets and more. This was a great article on places to distribute your online videos. We are working on a film currently and this list will come in very handy when its time for distribution. Thanks again!